Dozens of Canada Post workers in Paradise took to the streets to voice their frustrations over recent discussions at the bargaining table this weekend. Tammy Newhook was one of 40 people who gathered outside the town's post office Saturday morning. Newhook is considered a rural suburban mail carrier (RSMC), a position she said is predominately made up of women. And according to Newhook, she gets paid much less than Canada Post letter carriers, despite doing the same work. "We make about 28 per cent less than the letter carriers, which are 70 per cent predominately male," she told CBC News. 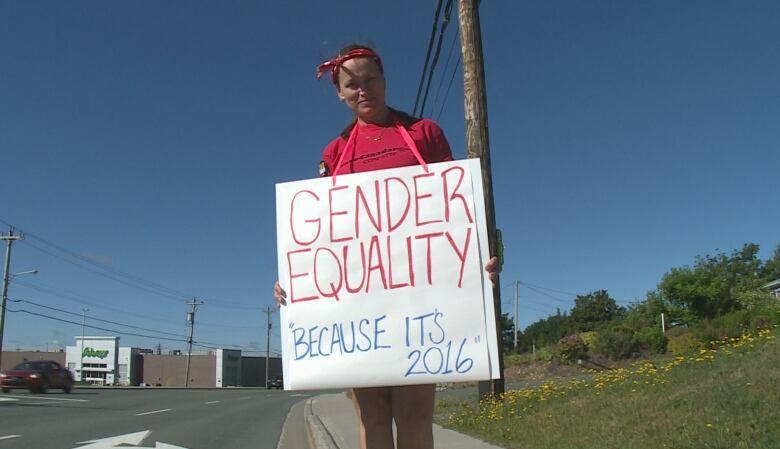 The protest was an attempt to make the public aware of issues such as equal pay. "I would like to see [Canada Post] look at us, us RSMCs, equal to the letter carriers — because we are, we do the exact same job," she said. Craig Dyer, the local CUPW president, joined the workers in Paradise Saturday. In addition to pay equity, he said discussions over pensions, staffing and health and safety are "nowhere close to resolved." "We're tired, we're frustrated. We deserved the respect that we do for our labour, and Canadians deserve a good postal service." He said the Liberal government campaigned on promises of pay equity and pensions for Canada Post workers, and it's time for the party to stop cutting services. "We need Canada Post to think outside the box. We're coming forth with revenue-generating ideas and they're just not doing anything." 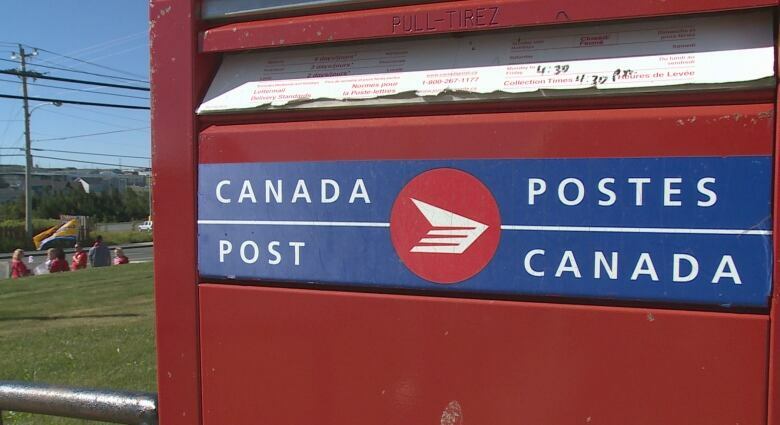 But a spokesperson for Canada Post disagrees, and told CBC News that RSMCs can make just as much money as their urban counterparts. "The union has taken that position in bargaining — it's a bargaining position but that's not true," Jon Hamilton said Saturday. While the two positions fall under different collective agreements, Hamilton said it all comes down to the size of a carrier's route. "The rural carriers, some of them can makes as much if not more than their urban counterparts, and others are more of a part-time role because they're out in the more rural areas," he said. Hamilton said those with smaller routes earn less because they aren't working as many hours. According to Hamilton, RSMCs have "good benefits [and] great pensions." And those circumstances will only improve with the changes Canada Post has proposed during the third, most recent round of negotiations.